I made this recipe up. I just thought of lots of things I like that should go together and gave it a try. It worked! Put all the above ingredients in a bowl and marinade for 2-3 hours in the fridge. 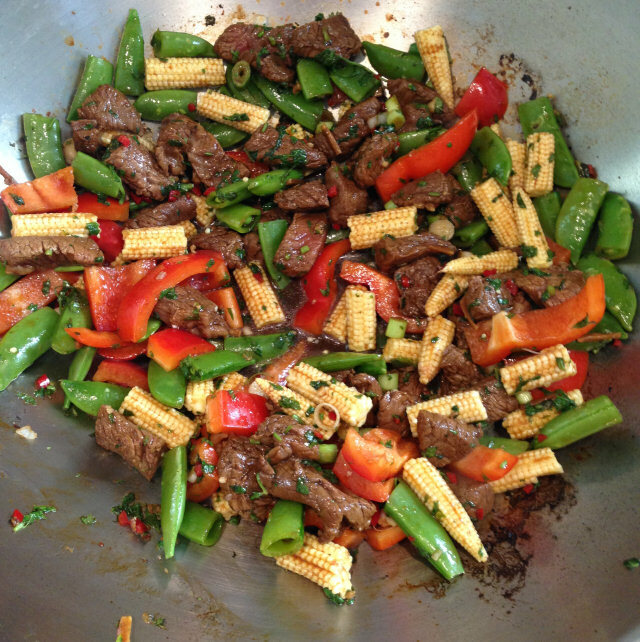 Stir fry in a wok with some vegetable oil, until the beef is properly cooked through. Put all the marinade in. The chopped vegetables. 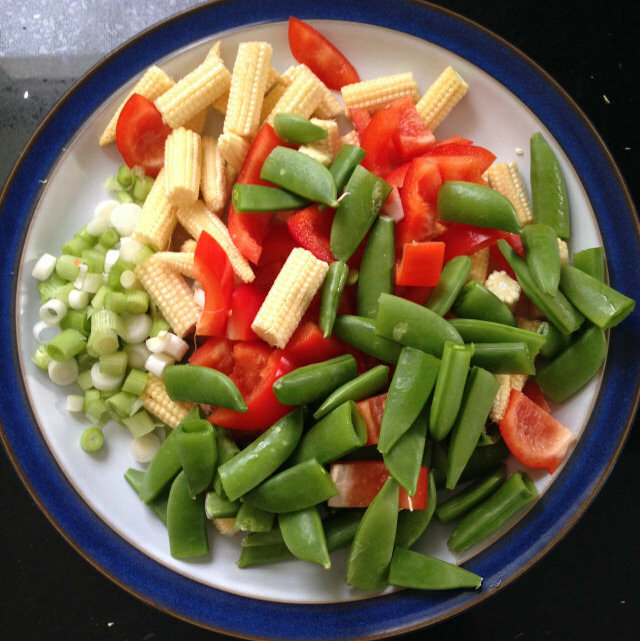 You can use whatever you like but I used baby sweetcorn, red pepper, sugarsnap peas and spring onions. Stir frying the ingredients in a wok. I served this with basmati rice but you could also use egg noodles. You can add another chilli if you like a bit more heat. I plan to try it with the juice of two limes next time.